In recent weeks, at least five big tech companies have revised their policies for handling sexual-harassment complaints, saying they will no longer force employees to submit those claims to arbitration, a process that tends to favor employers. But many of the new policies come with hitches: They may apply only to claims of harassment and assault, and not claims of discrimination, retribution, and hostile work environment that often accompany harassment. And the policies typically don’t apply to past cases of harassment. The case of Loretta Lee, a former Google engineer who filed a lawsuit against Google in February, highlights the distinctions. In her suit, Lee alleges that she faced daily harassment from male coworkers during her seven-year tenure. Lee also claimed gender discrimination, hostile work environment, retaliation, interference, and wrongful termination. Even under Google’s new policy, announced a week after 20,000 Google employees walked out of work to protest the company’s handling of harassment cases, Lee would have been required to go to arbitration, rather than pursue a lawsuit, where claims can be resolved in public, often before a jury. Tuesday, after a bout of publicity about Lee’s case, Google said it would relax its policy and allow her to take the harassment case to federal court because the arbitration process had not officially begun. But the company said Lee’s other claims must still be handled in arbitration. Google says it tweaked its policy to permit lawsuits involving any harassment claim that has not already started arbitration, including Lee’s, because it wanted to do the right thing. If that’s the case, Hoyer says there’s an obvious choice: ban mandatory arbitration for any cases involving harassment, discrimination, equal pay, and other protected rights. “That is easy. That is the right thing to do,” Hoyer says. Similarly, Uber in May said it would no longer force employees to take sexual harassment claims to arbitration. But the company was still fighting in federal court to keep 485 current and employees, all women and people of color, including former engineer Susan Fowler, from pursuing a gender discrimination and harassment case in federal court filed by two Latina engineers, Roxana del Toro Lopez and Ana Medina. Before the court was scheduled to rule on a motion to compel arbitration, the case settled. Last week, the judge approved a $10 million settlement. A lawyer for the employees, Jahan Sagafi, a partner at Outten & Golden, says his clients might have had leverage for a larger settlement if the specter of forced arbitration had not been hanging over the case. “If Uber had not had the option to compel arbitration, we would have had a stronger case and it would be very reasonable to expect that we could have gotten more money,” says Sagafi. “For every [individual] assault and episode of harassment,” there may be many more instances of systemic bias. Uber did not immediately respond to comment about the settlement, but previously directed WIRED to its May announcement. Together these cases show that the tech companies are updating their policies in a piecemeal fashion, in response to public scrutiny, much like the harassment policies for content on their platforms. And changes often arrive too late for women, often women of color, who first drew attention to the alleged abuse. Tina Huang filed a class action lawsuit alleging gender bias in pay and promotion at Twitter in 2015. “If you didn’t have an Ellen Pao and didn’t have a Tina Huang, you probably wouldn’t have seen the group of people walk out at Google. That message, it’s resonating with workers,” says Huang’s lawyer, Jason Lohr, a lawyer with Lohr Ripamonti & Segarich. In Lee’s case, emails between her lawyer, Hoyer, and Google’s outside counsel, Brian Johnsrud, offer a glimpse into the way publicized changes play out in the real world. In March, Lee published a blog post critiquing the male-dominated tech industry and techniques companies use to boost their diversity numbers. The email correspondence, viewed by WIRED, shows Johnsrud took a week to respond to Lee’s request not to arbitrate, waiting until the last day Lee could file an appeal about arbitration. In an exchange last month, Johnsrud wrote: “I was surprised to receive your voicemail making a settlement demand after Ms. Lee has tried to trash Google in the press and avoid arbitration.” Unless Lee drastically lowered her demand, Johnsrud wrote, Google would send the case to arbitration. Google did not specify how many ongoing claims would also be affected be affected by the change that benefits Lee, but said Lee’s suit was an edge case. 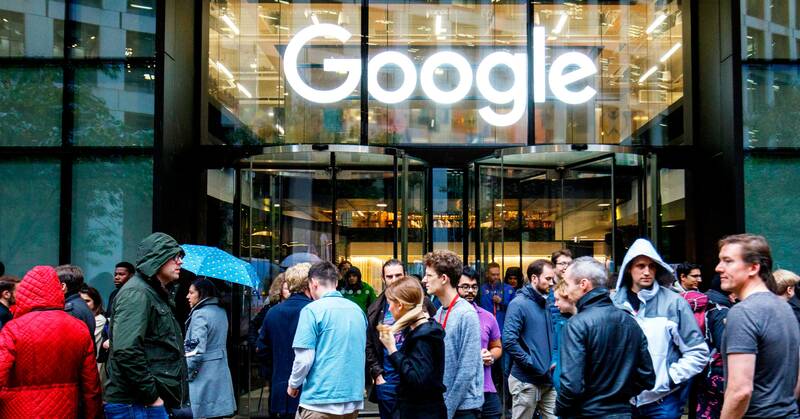 However, one of the allegations in her lawsuit mirrors one of the most shocking anecdotes of abuse relayed by organizers during the Google walkout earlier this month. Lee’s complaint, filed in February, alleges that male colleagues spiked her non-alcoholic beverages with whiskey and then laughed about it, among other disturbing claims. During the walkout at Google’s Mountain View headquarters, organizers read an accounts of harassment from a different, anonymous, female employee during her time at YouTube, who claimed a male colleague spiked her drink. “She escalated to HR, who instructed her to remain on the same team as her harasser,” organizers wrote.